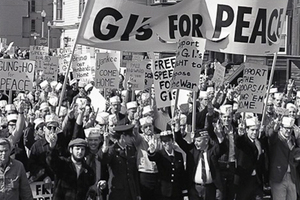 This collection contains over 88,000 page images with searchable text taken from more than 2,400 periodicals and other items such as pamphlets and posters created by or for U.S. military personnel during the Vietnam War era. Many were produced underground by U.S. soldiers or veterans who opposed the war, using mimeograph machines or other inexpensive technology. These materials document the Vietnam War through the words of young people caught up in it. 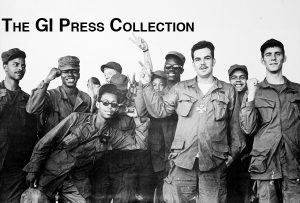 It is intended to complement official records published by the U.S. government and the civilian underground press of the time, both of which are readily available elsewhere. 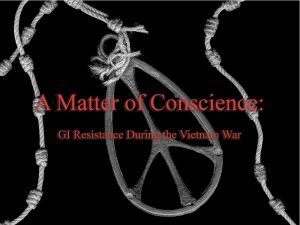 Gi Resistance During the Vietnam War. Essays by Willa Seidenberg and Photographs by William Short. The Sunflower Project uses dance techniques to help heal survivors of sexual assault, domestic violence, and dating abuse. TSP also uses methods used in film and writing to facilitate a healing space for survivors. TSP takes on different projects in order to achieve this goal, such as the film Untold, the #Demand2BHeard initiative, performances, and Democracy Jams. The Sunflower Project (TSP) is a multimodal artist organization based in Chicago, IL. Founded by Leah Zeiger, the organization primarily uses dance, with help from film and music, to educate the community about sexual assault, domestic violence, and dating abuse. TSP focusses on young adults, specifically middle school through high school. We are horrified and angered at the shocking damage already done to lives here and around the world by the Trump/Pence regime. We recognize that they are poised to do far worse, including threatening WAR, even nuclear war. Through an unrelenting barrage of daily outrages and twitter outbursts, the Trump/Pence regime is radically remaking society – step by step hammering into place a vicious American fascism. This is not insult or exaggeration, it is what they are doing.Therefore, WE RESOLVE that nothing short of removing this whole illegitimate regime from power will stop this nightmare.– Read and sign the full, new Call to Action from RefuseFascism.org here. Flicks4Change creates meaningful social change through sharing socially conscious films. The festival screens captivating films from around the globe that highlight various social issues facing our world today. Films span all genres and styles of storytelling. Also essential, is fostering a safe space for open conversation. After our screenings, F4C hosts a town-hall style discussion between filmmakers, leading community activists, and you, our audience. Creative Vision’s mission is to spark awareness of critical issues and ignite change through impact media, art and technology: creative activism.